There is nothing like a Tanglewood Picnic. The expansive lawn at the summer home of the Boston Symphony Orchestra brings people together to enjoy some of the best music in the world at one of the most beautiful places in the world and - as if that weren’t perfect enough - when enjoying a concert from the lawn you can bring your favorite food and drink and enjoy it all in the Summer sun or under the stars. 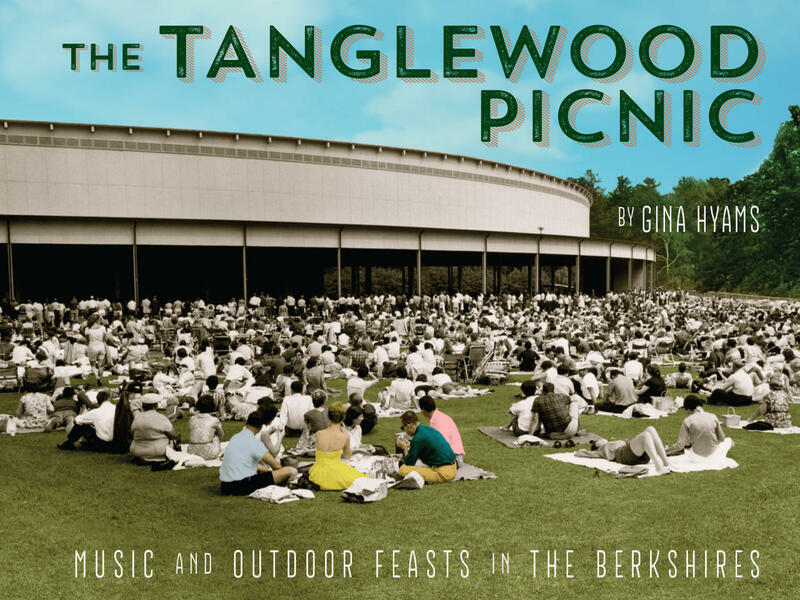 The experience is captured in Gina Hyams new book, The Tanglewood Picnic: Music and Outdoor Feasts in the Berkshires which is published on Gina’s new imprint, Muddy Puppy Media. For more information visit tanglewoodpicnic.com. The founding conductor of the Tanglewood Festival Chorus will step down following this summer’s performances in Lenox. It will mark the end of a career with the Boston Symphony Orchestra that spanned nearly five decades. A singer and actress whose voice has become very recognizable among young children and their parents will visit Tanglewood Music Center this summer. Temperatures are starting to drop in the Northeast. That means it’s time to start thinking about warm summer days and green grass, right? Well, at least the Boston Symphony Orchestra is. The company released its 2015 Tanglewood season lineup Thursday. Eric Paul is a cheese lifer: he has been a cheesemonger in the artisan cheese and specialty foods business for over 15 years. In September 2012, after selling local cheeses at area farmers' markets, Eric opened The Cheese Traveler at 540 Delaware Avenue in Albany, NY to bring a shop where artisan cheeses and cured meats are cut-to-order in Albany. We’re just about at the end of July and summer is racing by but we still have at least a month of prime-picnicking. Whether you toss out the ol’ red-and-white gingham or take a more modern approach, Eric has picnic tips for you.